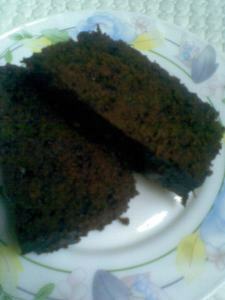 banaras ka khana: easy brownie...eggless and low fat. 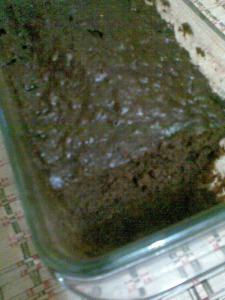 easy brownie...eggless and low fat. also i find that the brownies made with dark chocolate are very fatty as they have higher amount of fat in the form of not only cocoa butter, some trans fats too.............when you replace dark chocolate with cocoa powder the fat content of brownie becomes considerably low....works very well for me because the intense flavor of chocolate is still there, just it becomes a bit drier...no problem with me.........so it's like the more fatty the brownie is , it is more gooyi , soft and sinful...heavenly in fact......as you replace it with cocoa powder it becomes a little dry and crumbly......tastes as good as the original one though.........after all, the choice is your's..........i think something which you like so much and is so fatty.....you should be able to adjust a little with the texture at least, if not the taste..........right!! you have to make approximation with the timing according to the amount of batter.........my tip for making cake or brownie in the microwave is..........watch the sides of the cake rising first as it starts cooking from the sides........slowly when the center rises and the central most point rises...watch it...as soon as it comes up n gets firm , wait for 5 secs and stop.......your cake is done.........nice tip na!! cool and cut into pieces to serve.....it crumbles when sliced while it is hot....so be careful. The brownie looks moist and delicious! I have nominated u for the Kreativ blogger award. Please visit my blog and accept it.